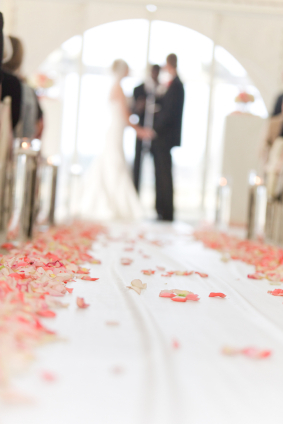 One of the most asked questions from wedding guests is how much to spend? As well guests & family often ask "what should I buy" - especially for the couple who already have everything! The key rule is here to buy what you can afford - and stick to your budget. If the couple has registered, try & get the details early on so that you can choose the perfect gift that fits your budget. Of course, guests are free to shop wherever they choose and are not limited to shopping from the registry, you may wish to surprise them. Remember, it's not considered polite for the happy couple to tell you about what they'd like or even where they've registered, so you may have to get clever and ask family or friends to find out. For family, as a parent or grandparent wanting to buy something for your daughter / son or granddaughter / grandson, then it's likely your budget will be bigger and your gift more substantial. Often parents buy larger one off items, such as washing machines, cars, or make a substantial contribution towards the costs of the wedding. If you're really stuck for ideas, then do be prepared to ask the engaged couple for suggestions - they'll probably be very happy to let you know other gifts that they hadn't included on their initial list. For couples on their second marriages, they often have most of the items on a regular registry list. If you know the bride or groom well, consider getting something to complement their future home - perhaps a themed gift basket, or get creative with personalized wine, or have some household items monogrammed just for fun! You may find that some couples invitations include asking for money as a wedding gift - this may be toward the cost of a honeymoon, or towards a large item that they are hoping to buy following their marriage. Some of the best "unusual" gifts are those that are specially created for a couple - rather than something that was on the registry gift list. You may well have the right type of eclectic boutique style shop in your own home town. If you're stuck for ideas - there are a couple of sites where you can shop for something different - in the US, try Etsy and in the UK, NotOnTheHighStreet. Both these sites offer hard-to-find or unique gift ideas for weddings as well as creative & unusual presents for special occasions. 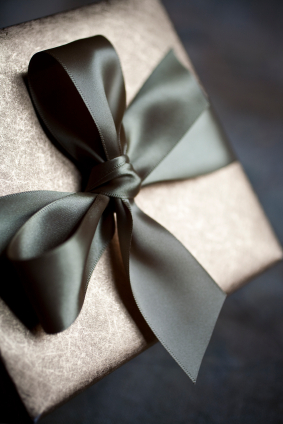 If you're not good at wrapping gifts, remember to ask for the gift-wrapping service when you make your purchase. Otherwise, buying bags or boxes and carefully wrapping with tissue paper can look very pretty, for just a little effort. You can give your gift anytime from receiving the wedding invitation to around three months after the wedding - though many people choose to take their gift to the wedding. You don't have to be invited to the wedding or reception to give a gift - if you're a work colleague, old friend, or friend of the family, then it's fine to send a present without expecting an invitation. It can certainly be a big help to the couple if the gifts arrive before the wedding, so try and send or deliver your gift in advance of the wedding day. This also has the advantage that you don't have to remember or carry your gift around during the wedding ceremony!